The late art historian Brian Sewell (1931- 2015), from whose estate this piece has been presented, knew the sculptor during his exile in England and later devoted an essay to his work. Sewell suggests that Elkan’s experience of exile in England pushed him into becoming ‘essentially, a Jewish sculptor of historic Jewish subjects’. 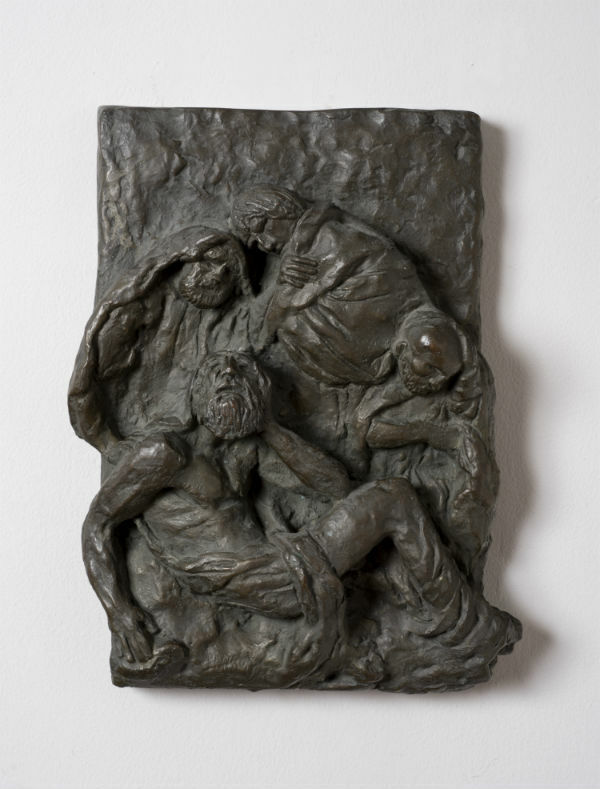 This maquette is for one of the series of bronze reliefs depicting the struggles of the Jewish people that Elkan modelled for The Knesset Menorah, located at the edge of Gan Havradim (Rose Garden) opposite the Knesset and presented as a gift from the Parliament of the United Kingdom on April 15, 1956, in honour of the eighth anniversary of Israeli independence.